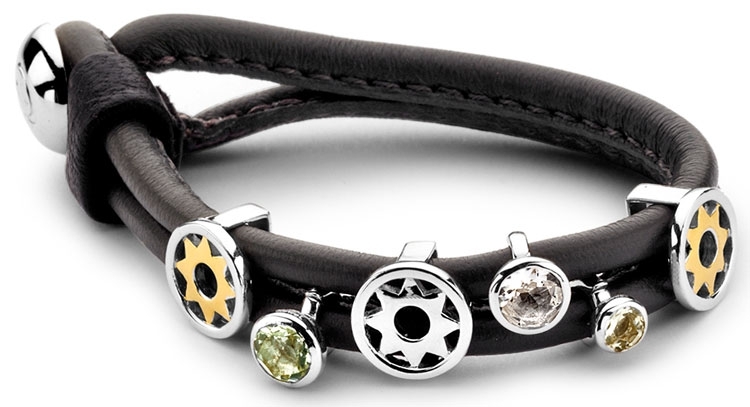 The bracelets of Enchanted Jewels consist of 2 leather cords which you can slide or click different elements on it. You can make your own creation in a quick way, that reflects your personality or mood. The bracelet is made of soft calfskin. The leather cords are each 4 mm wide. The lengths of the bracelet is 19 cm. When the bullet is red, this means that the Bracelet is not on stock and that it not possible to order this bracelet.